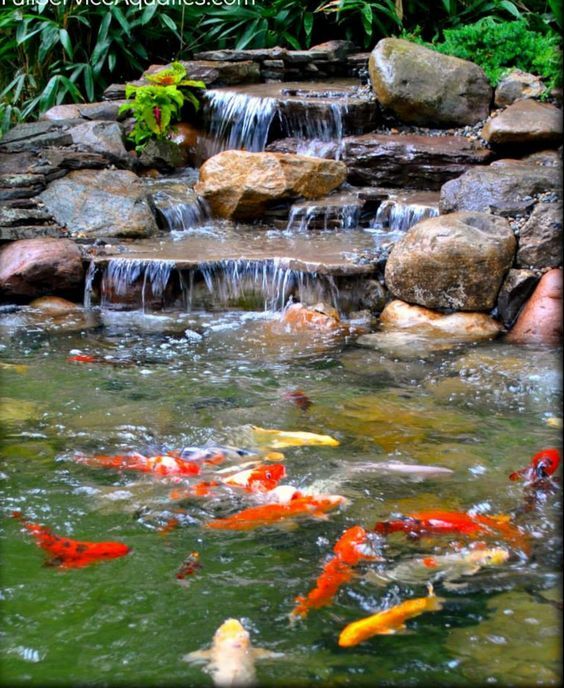 Beautiful koi pond promote healthy fish and beautiful landscape. Koi is one of the most popular pond fish. To make it even better, suitable ponds are needed to ensure not only the fish to be healthy but also to make it more enjoyable to see. The fish healthy should come first though the other aspects should come next. 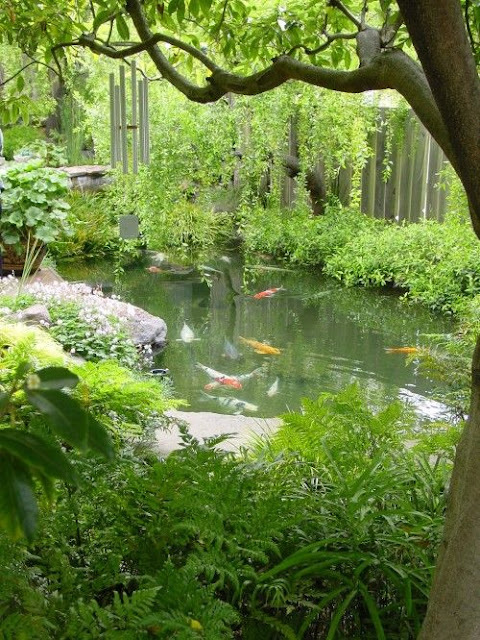 With proper planning, we can get beautiful fish with beautiful views of the koi pond landscape. So let see what are the possibilities that we can get through this wonderful hobby? To build successful koi pond we need to understand to whole process of the koi cares so it will works for long term use. Koi lifespan can be considered as long for ornamental fish. 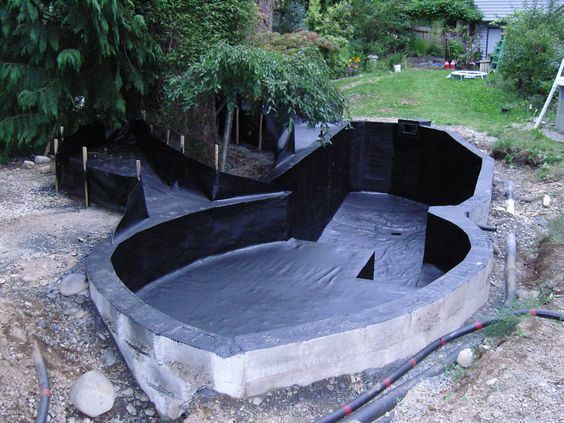 It’s important to make sure that your pond design can accommodate all the needs for koi. Proper planning will make sure you safe lots of money and to avoid your lovely koi from diseases and other problems. 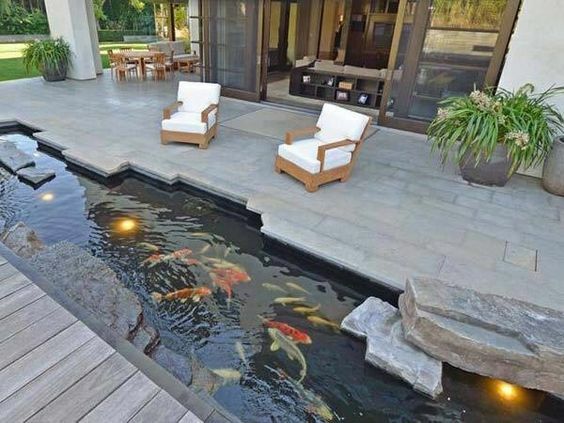 Perhaps your pond can also encourage your koi to produce younglings. If you decide to have koi pond, you are also decided to learn many things related to koi cares – and it will be lifelong learning! Successful pond requires proper planning. Technologies encourage more sophisticated designs for koi pond to be possible. New technologies not always means expensive and most of them can safe more money for long term use as they are more effective. When thinking about design, take advantage of the new technologies available so you can get the best designs that work as long as it can. 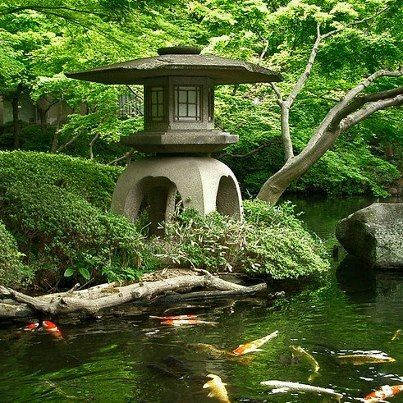 Koi pond’s design focusing not only to take make sure the fish can live healthily but also to blend in with its surrounding, for most situations your garden or some part of your home – that will be important. Proper planning will avoid future alterations and add more values to your home. Ready pond also might work in some cases. Especially when you have future plan to build bigger pond. As the price of koi can be too expensive, you might want to start with smaller koi where the price is cheaper. So, there’s nothing wrong to start small, but to understand your needs. The bigger pond the better - with proper care. Pond size is important for koi to be comfortably live and growing up. 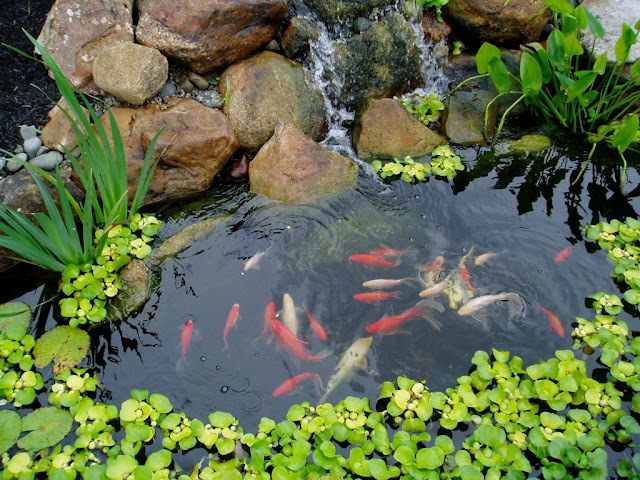 The volume of water per fish is the important factor in order to understand about the size of your pond. You also might need a deeper pond in case to allow your fish to grow up to supersize! 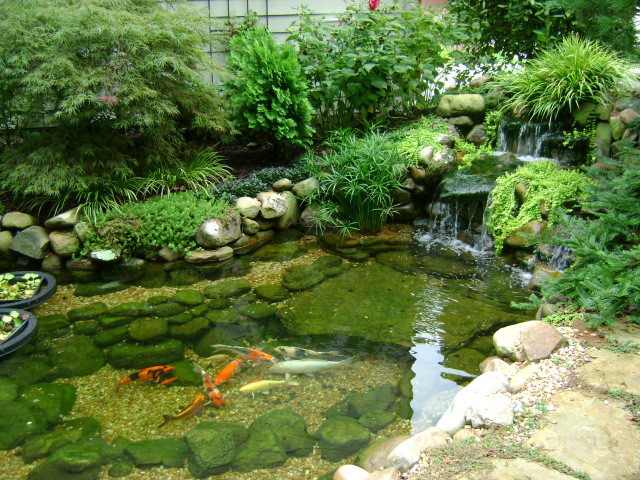 It is important to understand the size of your pond and the volume of water inside it in order to manage it properly. The filtration system requires you to decide how much water to filter per hour same as when you are applying chemicals to clean up or to cure diseases in your pond in the future. The suitable size for koi will start at 23 to 25 feet long by 12 to 13 feet wide and 3 to 4 feet deep. Well that’s for the start. Anyway as we mention before, if you start with smaller koi, then you can use temporary pond with smaller size. Important aspect such as filtration system need to be built at the early stage. The consistent flow of water will give lots of benefits to your fish, to your pond and also to you as it produce wonderful sound of flowing water. Most of the time this feature come together with filtration system. By designing this feature in the form of waterfall or water fountain, will contribute to aeration for your pond – another important feature for healthy fish. Filtration system is crucial for koi pond as koi is sensitive to water quality. Good filtration not only to keep your fish healthy but it also will make your pond look more pleasant and need less cleaning work. Its’ better to leave it to the expert to do it, however the understanding how its work is also important. In some cases, the design can also contribute to the suitable filtration system. That’s how the whole system works – everything are link between one to another. Well that’s too much on the design instead of the types of the pond. So, in order for us to make the right decision we need to know the important aspects of the design to understand our needs. By understanding the key features on the design – you can get more information about it from this link; we can easily identifies the right types of pond that we requires. Open pond is more beautiful but hard to take care. Earth pond is more natural. Earth pond is more natural anyway not suitable for ornamental koi as koi will increase the turbidity of water – they keep on stirring the substrate from the floor of the pond. Anyway, you can have earth pond for breeding purposes or just to keep koi as nursery pond. The turbidity can be minimize if the bed of the pond is made of sands and stones. Now you can see your fish swimming in the water. Hi-rise pond can give extra benefits for the filtration system and also to add glass panel to allow you to watch your fish like in aquarium instead of just watching it from above. 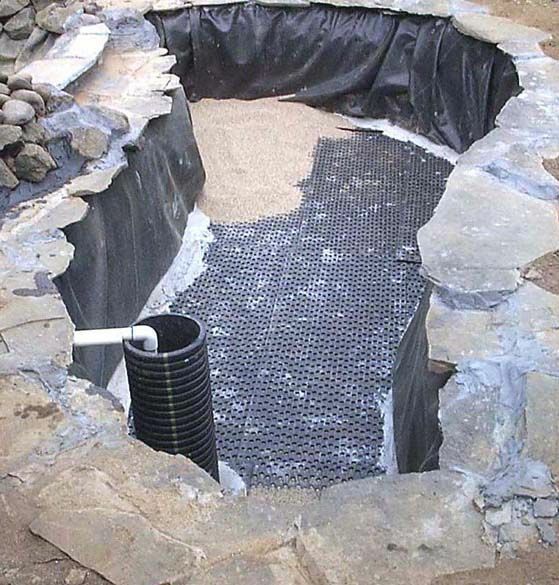 The bottom drain can easily be built with this type of pond as you don’t have to dig too deep for it, not to mention for future maintenance. Stylish, but not for the fish! Small steep pond as built next to building and with steeping stones crossing it is beautiful for ornament but not for the fish. Koi requires bigger space and deeper water to swim freely to allow them to grow. If you are planning to have healthy koi, then you might need a second pond instead of this type of pond – well it still useful for the younglings though. Maybe it’s not really a pond, but for temporary purposes – when you building their permanent pond, or during the maintenance and to transfer the fish, plastic tanks will be best alternative. Keep in mind there always be emergency cases where you need to put your fish into temporary place: so, plastic tank can be the best solution. Proper planning will give you the best result. Well, that’s the summary of the koi ponds. 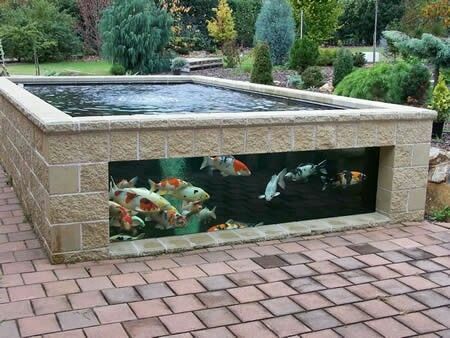 There are limitless of pond designs and it’s all depend on your own goals for your lovely koi. This is not the type of fish that you can take for granted for their cares, especially when your fish getting bigger in size. Keeping koi requires lots of patience, knowledge and proper planning – but you might end up with the next most expensive fish! This is a beautiful post, honestly i love reading about such sleek ponds design. the decoration is breathtaking for its unique eye catching effect. 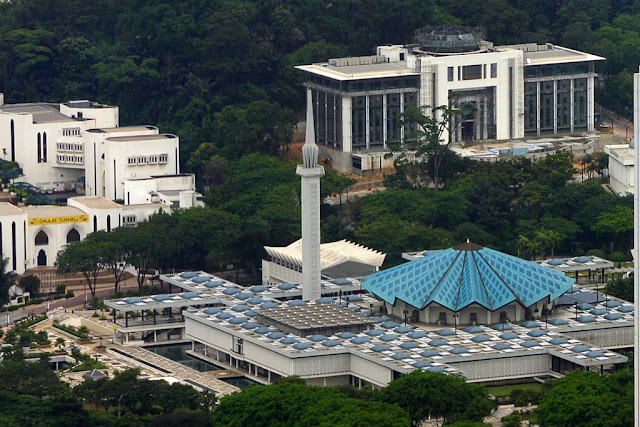 I would die to have such in my compound. Back backyard pond is not complicated to advance now. Pondpro2000 has accustomed too abundant affluence to Pond owner. I have learned the best techniques of maintaining the Koi pond, and protecting the beautiful fishes from parasites and predators. Koiforum.uk also helped me to know the right way of dealing with the risk of infection among Koi Carps in a scientific manner. 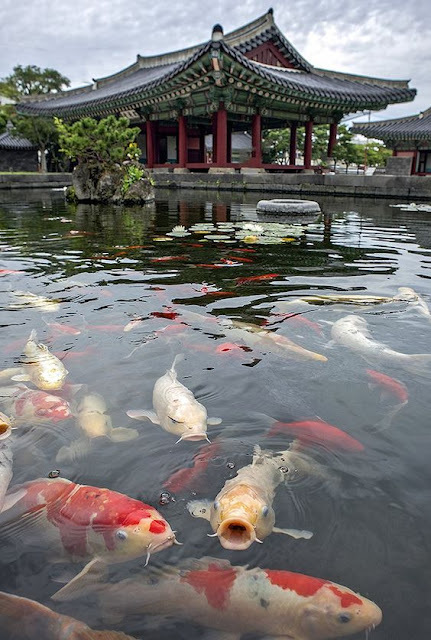 I have developed a Koi pond with the help of Koi specialists, but I want to learn about different health related issues associated with these fishes so I often visit a popular related blogs to seek guidance and opinions from the experienced people.